Gov. Greg Abbott appears to be undecided on whether he will sign a proposed statewide ban on texting while driving that is now on his desk. Abbott's predecessor, Rick Perry, vetoed such a proposal in 2011, calling it a "government effort to micromanage the behavior of adults." It looks like Abbott's hangup on the latest effort, House Bill 62, is whether it does enough to pre-empt local ordinances regarding the practice. "The Governor believes texting while driving has become deadly dangerous and that something must be done about it," Abbott spokesman John Wittman said Thursday in a statement. "One thing Governor Abbott wanted in a texting while driving ban was a pre-emption of the patchwork quilt of local regulations across the state, and he's looking forward to digging into the details of HB 62." House Bill 62 includes a provision to pre-empt "all local ordinances, rules or other regulations adopted by a political subdivision relating to the use of a portable wireless communication device by the operator of a motor vehicle to read, write, or send an electronic message." It is unclear whether that will satisfy Abbott, who has taken an aggressive stance against local ordinances that he says are contrary to his vision for Texas. The proposal's longtime supporters, state Rep. Tom Craddick, R-Midland, and state Sen. Judith Zaffirini, D-Laredo, have expressed confidence the governor will sign it after a decade-long effort to get it on the books. 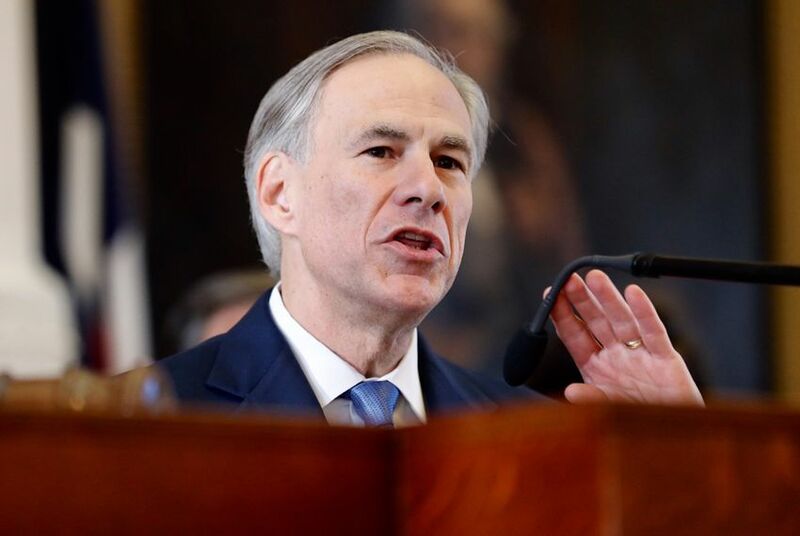 State leaders have warmed up to the idea over the years, with Abbott opposing it in his 2014 gubernatorial campaign but saying last session he would consider it. Asked for comment, Craddick's office pointed to the pre-emption section of the bill but declined to comment further. Since the House and Senate passed HB 62, the bill's supporters have implored Abbott to let it become law. In a letter Thursday, he heard from the family of Joshua and Robin Berry, a Houston couple killed in 2011 after a distracted driver swerved into their lane. "Please allow this important public safety measure to pass," the family wrote. "You alone have the power to save lives with the enactment of House Bill 62."